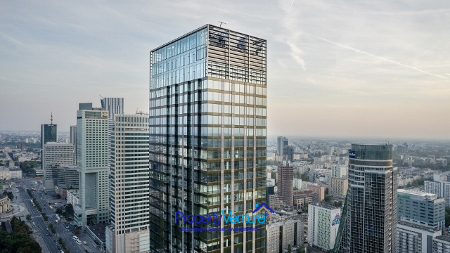 Want central Warsaw living but with all the modcons? 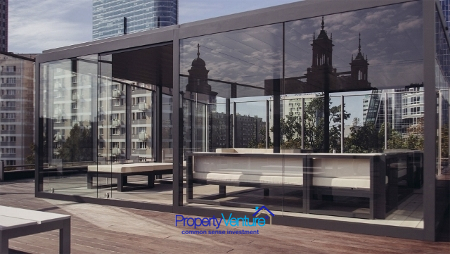 This could be of interest, an attractive modern build with lots of glass for fabulous city views, leisure amenities and not too expensive to buy, so you could make decent rental returns. 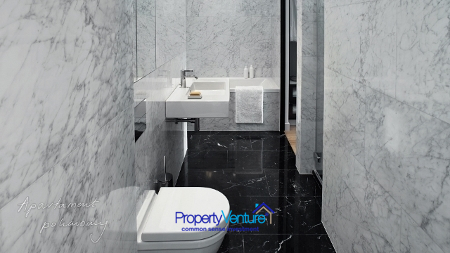 This modern residential development is a 160 metre-high, 44-storey building, with 236 finished and equipped apartments offering a range of living spaces of varying sizes, from 54 to 380 sq. m and 299 parking spaces. The residential section begins on the 8th floor. From the 1st to the 3rd floor there is commercial space, and the ground floor is designed for shops and restaurants. A unique feature of this residential skyscraper is that it has windows which can be used and opened, so you get real air should you wish, in each room. It also has glass walkways protruding from the outside of the body of the building which broaden the residents' panorama. 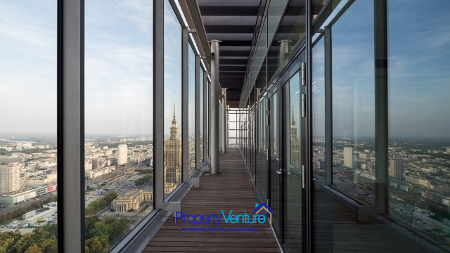 The completely glass covered façade provides an amazing view of the Warsaw panorama, mainly of the Palace of Culture and Science and the business centre, with office buildings surrounding ONZ roundabout and Emilii Plater St. There is also a view of Saski Park, the Old Town and the Żoliborz District in the North. The view of the National Stadium and the Vistula river's picturesque winding banks may be also admired from the windows of this imposing skycraper. 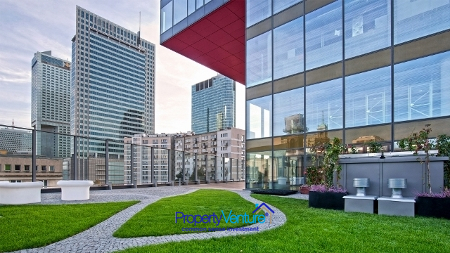 These apartments are located in the very centre of Warsaw, in Srodmiesie, the district at the heart of Warsaw. Public transport here is excellent, nearby you have both Warsaw metro lines and the central railway station Warszawa Centralna. In the area there are plenty of boutiques, bars and restaurants, Zlote Tarasy shopping centre is located nearby. The proximity of the Grand Theatre National Opera, charming Saski Park and historic Old Town provides the site with a unique character and atmosphere. The purchase price of the apartment includes a high standard of fit-out and equipment: the oak wood flooring, Italian marble in bathrooms, kitchen fittings, ceramics and fittings of the world's best brands, a fully equipped wardrobe and laundry, built-in wardrobes, spotlights, window blinds, air conditioning, high-tech kitchen equipment as well as the intelligent home management system HMS.